I love Advent. 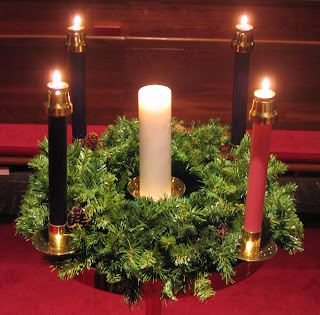 Not picking candies or tiny toys out of pockets or cardboard drawers every day from Dec. 1 to Dec. 25, but the four Sundays preceding Christmas, with the ritual lighting each week of one more candle in the Advent wreath. I am fortunate that my childhood memories of the Christmas season are warm ones, in spite of growing up in a cold, cold climate. One of my earliest memories of Advent is Mr. Eaton. I don’t know what his first name was, but he was an elderly widower who lived in the north end of our town and sang in our church choir. 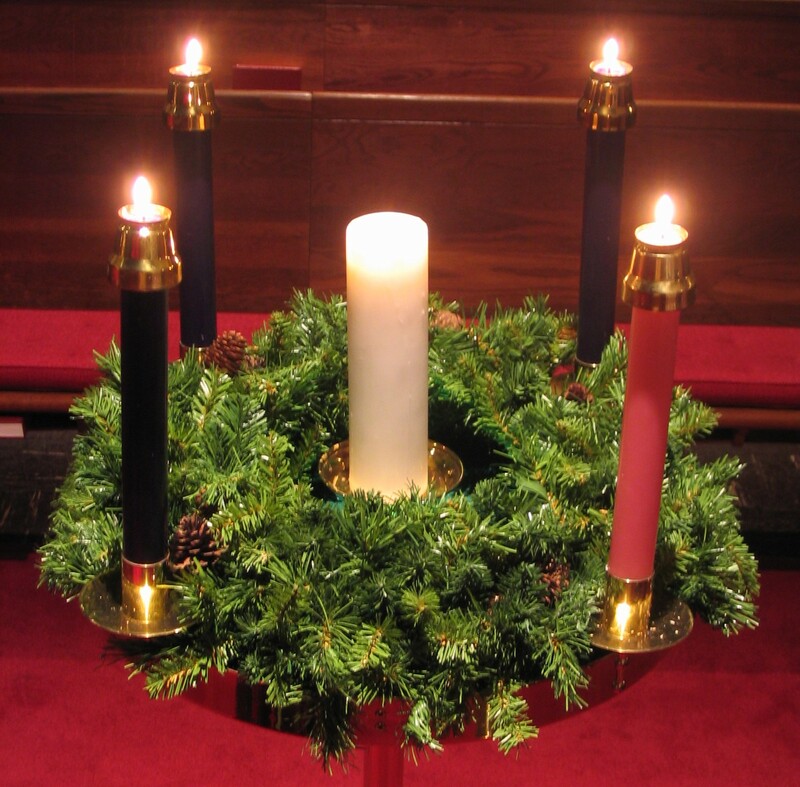 Every Sunday in Advent, Mr. Eaton would go up to the pulpit 15 or 20 minutes ahead of the regular service and lead those were there in the singing of Christmas hymns. I still love Christmas music, and I still treasure the feeling of community that enfolded us as we sat on varnished and time-worn wooden pews among our discarded parkas, hats and mittens, eagerly turning the hymnal pages to the next song he announced. Then, as now, anticipation built as we awaited the celebration of the coming of Prince of Peace, and embraced that most wonderful frame of mind, hope. on the hope for peace. Regardless of the beliefs and words you use to describe your faith or life philosophy, don’t we all want hope? Without hope, all is lost. With it, anything is possible, even peace. After the horror that happened in Connecticut this week, considering the wars that continue in various locations around the world and the individuals whose lives are caught in them, considering those who go without in our own communities and the battles they fight; hope, and hope for peace, are more important than ever. Wishing you joy and even more importantly, hope, this Advent season and all year through, whatever your personal beliefs. Because we all need to believe in hope, and peace. Thank you, Michelle. And the power of collective hope defies all logical mathematical rules about multiplication!